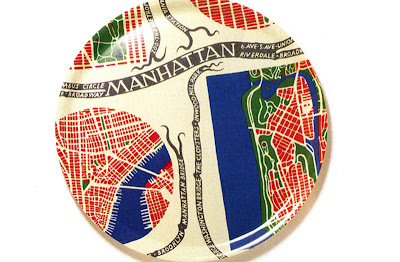 Last month, Jenn, the quintessential hostess with the mostess, posted that notNeutral received such a great response from their current “city map” plate collection that they’re planning to add 4 more cities to the collection in the Fall. How exciting! The theme for the new plate collection is ”Culture and Capitalism” and I can’t wait to see which cities they select! Take a peek at the comments from Jenn’s post (over 100 people responded) and many people, myself included, thinks New York City should be included in the new collection. 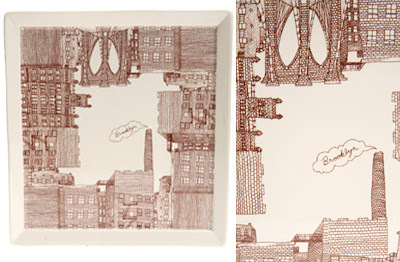 above: This square platter is smooth with a slight lip and topped with illustrator Jordan Awan's sketchbook-style design of Brooklyn, 9 ", $16.00, 12", $28.00, Urban Outfitters. 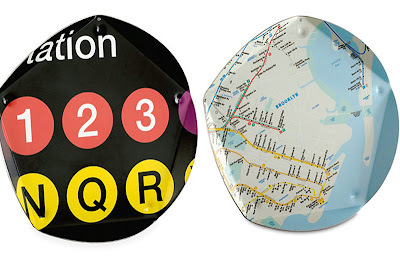 above: Created from the graphics of New York City's transit system, these one-of-a-kind trays make a modern design statement on your table or wall. Each one is handmade in Rhode Island, and signed and dated by the artist. New York City pentatrays, $169.00, Room and Board. above: Josef Frank Manhattan tray. Small round 15" and large round 24" also in rectangle 18" x 29", Just Scandinavian, 212-334-2556.
above: Honorable mention: - John Derian city map paperweights: top row (l to r): Tribeca, Soho, Chelsea; bottom row: West Village, Upper East Side, Upper West Side, $ 60.00 each, John Derian Company Inc.
New York City is the cultural capital of the United States. Many major American cultural movements first emerged in the city. The Harlem Renaissance established the African-American literary movement, American modern dance developed in New York in the early 20th century. The city was the epicenter of jazz in the 1940s, abstract expressionism in the 1950s, and the birthplace of Punk in the 1970s and hip hop in the 80’s. New York City is full of the history, culture and diversity that set it apart from the rest and I think it should definitely be represented in notNeutral's next "city plate" collection. Those are so cool! Love them - great find. 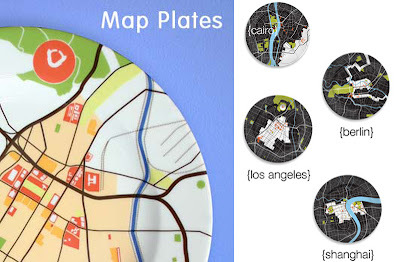 wow.. where can i buy the "city map" cllection [plates] and how much?